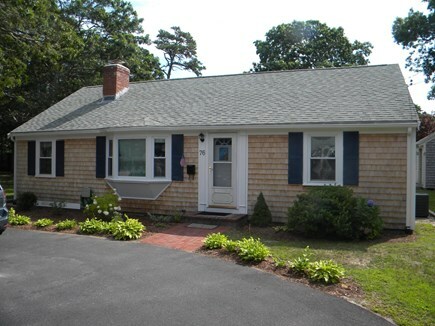 This charming, ranch style, Cape Cod, single family home is located 1/2 mile from Parker River Beach (a short walk). 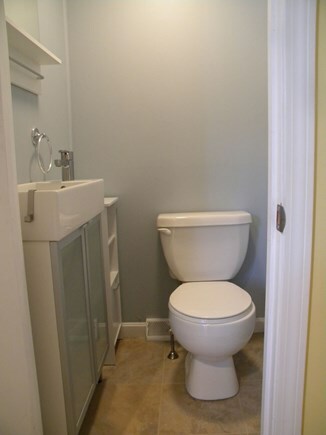 Renovated with new 3rd bedroom, kitchen, deck, new main floor laundry, sun room and hardwood & tile floors, the home also has Central Air Conditioning, Washer/Dryer, Xfinity Cable, and Wireless Internet. 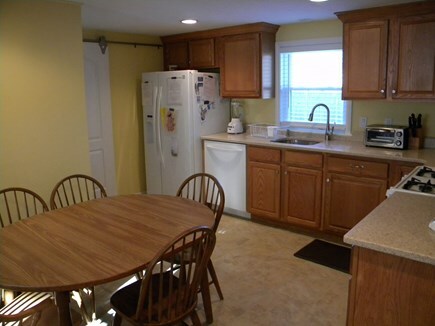 The kitchen has a full size Refrigerator, Stove, Microwave Oven, Toaster Oven, Coffee Maker, Waffle Maker, Tea Pot & Blender. 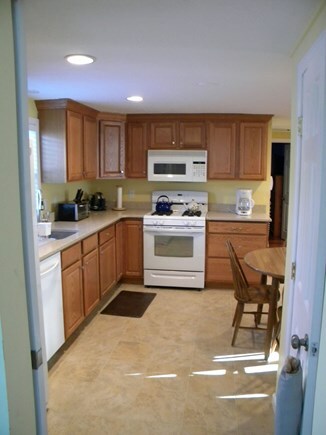 Cabinets are stocked with dishes, silverware, pots and pans, and a lobster pot, and the kitchen table seats 6. 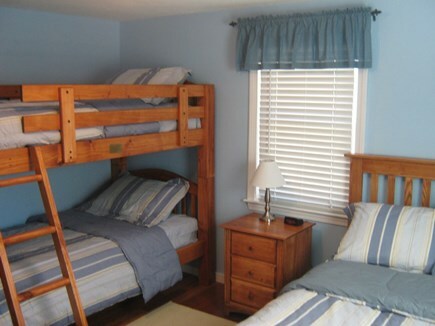 This vacation home features 3 bedrooms with additional sleeping in the living areas, BR1 - Queen, BR2 - Full & 1 Bunk Bed, BR3 - Full, Living Room with fireplace & full size sleeper sofa, Sun Room with full size futon, 1 1/2 Baths, Outdoor Shower, Deck, 3 TV's with Xfinity, WiFi and Telephone. Bring your own linens and towels. Picnic Table with umbrella and beach chairs in shed. Bikes, Weber Gas Grill. 3 Night Min. during Off-Peak Season. Starting January 1, 2019, the Commonwealth of Massachusetts has passed a Lodging Tax of 14.45% that goes into effect with any lease signed after January 1,, 2019 for a stay beginning after July 1, 2019. Additional pricing info: We accept Online Payment via Paypal. State and local taxes of 14.45% will apply. This is our second year staying at the Cape Escape. We always have a great time when we stay here! The house is beautifully kept, clean and has all the comforts of home. There are so many things to see and do in Yarmouth. Lots of cute shops, restaurants and of course beautiful beaches! We love the house and have been renting for three years. It is clean and cozy. 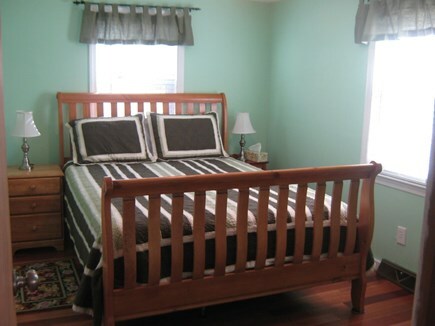 The location is perfect and close to the beach and many fun places. The new shower and fenced in yard both were great . It is our family's favorite place to go. Had a great stay for the month of June. The home was warm and inviting. It was certainly well equipped, clean and updated. The location was great. Convenient to a lot of attractions and eateries. 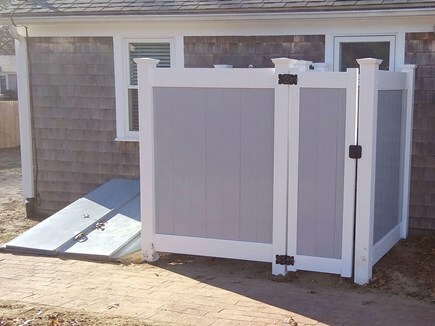 Great fenced in backyard and the outdoor shower was the best. We enjoyed the Cape Cod baseball games 10 minutes away. If you want pizza, look no further than DiPalma’s on rte 28. For ice cream and chocolate treats go to Kilwin’s on Main Street in Hyannis. Nice house with beach nearby. 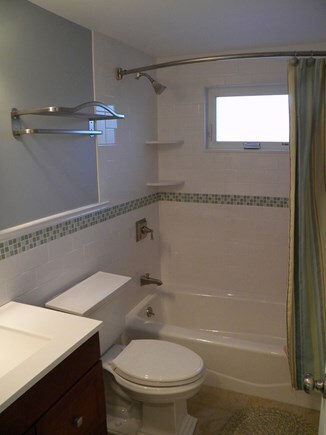 Great kitchen for meal prep and a nice outdoor shower for beach goers. Heat and a/c worked nicely. Visit the pirate museum on a rainy day. August 2017 was our second time renting this property and we were, once again, extremely happy with our accommodations! This is a lovely, well-kept home. 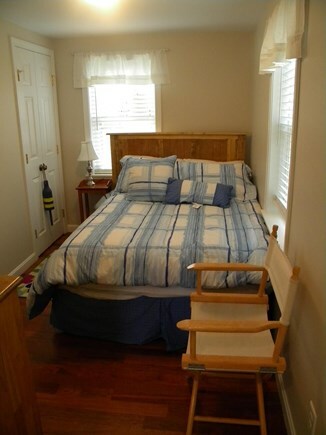 It's in a great location and ideal for a family of 4, with plenty of room for the pop-in visitor. Jay and Grace are very responsible and easy to deal with and we've already made arrangements to rent again in 2018. We have loved staying in the house. 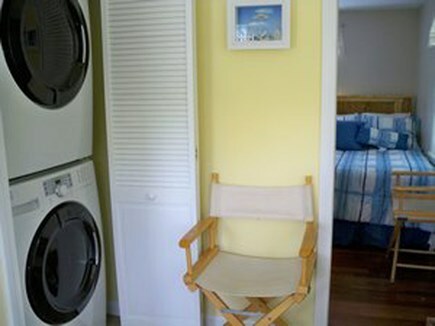 It has space, is clean and close to the beach. We can't wait to come back again next year! The house was clean and set up so you feel at home right away. Thank you for another memeorable year on the cape. House was clean everything in great working order. 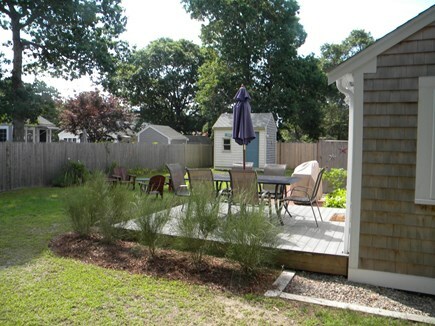 Great location central to the cape, short walk to the beach, and a short drive to nearby local beaches. Close to shopping and mini golf. Nice size bedrooms, great bbq and nice sized backyard. We enjoyed our stay and hope to visit again next summer! Thank you! We had a GREAT time at this lovely residence! It's well equipped with and very spacious for 8 people. It's near great restaurants, beaches and stores, and we enjoyed very much being able to explore the town with the bikes that were provided. 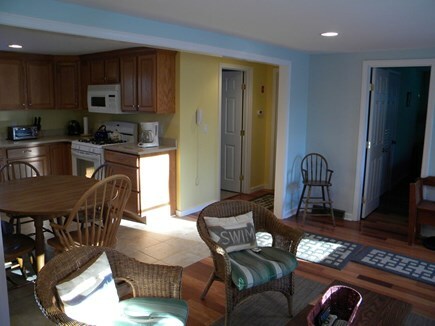 We would love to be able to stay at this great place again on future Cape Cod trips. 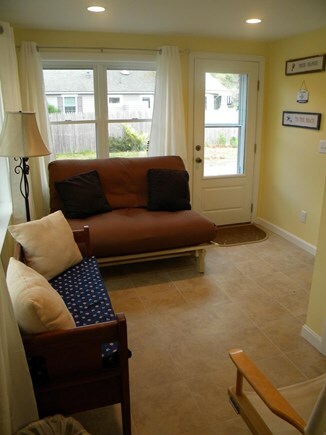 This was our first time renting a home through HomeAway and we were pleasantly surprised. The house was clean and well-equipped, comfortable in size for 4 of us plus the occasional extra visitors. Central-air and wi-fi were a plus for my husband and 2 teenagers. Location was perfect, we walked/rode the bikes to the beach, mini-golf and Dairy Queen. We are already discussing renting again next year!